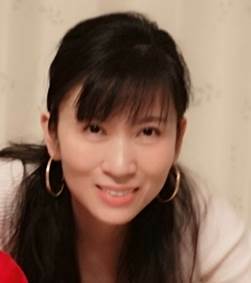 Yi Yu is an assistant professor in National Institute of Informatics (NII). Before joining NII, she was a senior research fellow at School of Computing, National University of Singapore. Her research interests include multimodal learning, large-scale multimedia/music/educational data mining, and multimedia/music analysis (see ongoing works). She has been working with lots of researchers (see students, collaborators, and photo1, photo2) with different research backgrounds. She and her team received best poster award from IEEE ISM 2018 and best paper runner up in APWeb-WAIM 2017, were recognized as finalist of the World’s FIRST 10K best paper award in ICME17, won the 2nd prize in Yahoo Flickr grand challenge 2015, were in the top winners (out of 29 teams) awarded by ACM SIGSPATIAL GIS Cup 2013, and received a best paper award from IEEE ISM 2012. She is a co-chair @ IEEE ICDM18 Ph.D Forum with Photo1, Photo2, Photo3, and Photo4. 1. Yi Yu, Suhua Tang, Kiyoharu Aizawa, Akiko Aizawa, “Category-Based Deep CCA for Fine-Grained Venue Discovery from Multimodal Data,” https://ieeexplore.ieee.org/document/8432497/, accepted by IEEE Transactions on Neural Networks and Learning Systems (TNNLS), 2018. 2. Yi Yu, Suhua Tang, Francisco Raposo, Lei Chen, “Deep Cross-Modal Correlation Learning for Audio and Lyrics in Music Retrieval,” accepted by ACM Transaction on Multimedia Computing Communication and Applications (ACMTOMM), 2018. 3. Junjun Jiang, Yi Yu, Zheng Wang, Suhua Tang, Ruimin Hu, “Ensemble Super-Resolution with A Reference Dataset,” accepted by IEEE Transactions on Cybernetics 2018. 4. Junjun Jiang,Jiayi Ma, Suhua Tang, Yi Yu, Kiyoharu Aizawa, “Face hallucination through differential evolution parameter map learning with facial structure prior”, accepted by Journal of Information Sciences 2019. 5. Junjun Jiang, Yi Yu, Zheng Wang, Xianming Liu, Jiayi Ma, “Graph-Regularized Locality-Constrained Joint Dictionary and Residual Learning for Face Sketch Synthesis,” accepted by IEEE Transactions on Image Processing, 2018. 6. Zheng Wang, Junjun Jiang,Yi Yu, Shin'ichi Satoh, “Incremental Re-identification by Cross-Direction and Cross-Ranking Adaption”, accepted by IEEE Transactions on Multimedia 2019. 7. Junjun Jiang, Yi Yu, Suhua Tang, Jiayi Ma, Akiko Aizawa, Kiyoharu Aizawa, “Context-Patch Face Hallucination based on Thresholding Locality-constrained Representation and Reproducing Learning,” accepted by IEEE Transactions on Cybernetics 2018. 8. Zheng Wang, Ruimin Hu, Chen Chen, Yi Yu, Junjun Jiang, Chao Liang, Shin’ichi Satoh, “Person Re-identiﬁcation via Discrepancy Matrix and Matrix Metric,” accepted by IEEE Transactions on Cybernetics 2017. 9. Zhifeng Bao, Yi Yu, Jian Shen, Zhangjie Fu, “A Query Refinement Framework for Xml Keyword Search”, Journal of World Wide Web (2017). doi:10.1007/s11280-017-0447-z, https://link.springer.com/article/10.1007/s11280-017-0447-z. 10. Junjun Jiang, Chen Chen, Yi Yu, Xinwei Jiang, Jiayi Ma, “Spatial-Aware Collaborative Representation for Hyperspectral Remote Sensing Image Classification”, accepted by IEEE Geoscience and Remote Sensing Letters 2017, http://ieeexplore.ieee.org/document/7820148/, DOI: 10.1109/LGRS.2016.2645708. 11. Mang Ye, Chao Liang, Yi Yu, Zheng Wang, “Person Re-identification via Ranking Aggregation of Similarity Pulling and Dissimilarity Pushing”, IEEE Transactions on Multimedia, Vol. 18, No. 12, pp.2553-2566, 2016. 13. Zheng Wang, Ruimin Hu, Chao Liang, Yi Yu, Junjun Jiang, Many Ye, Jun Chen, Qingming Leng, “ Zero-shot Person Re-identification visa Cross-view Consistency”, IEEE Transaction on Multimedia, Vol. 18, No. 2, pp.260-272, 2016. 14. Yifang Yin, Yi Yu, and Roger Zimmermann, “On Generating Content-Oriented Geo Features for Sensor-Rich Outdoor Video Search”, IEEE Transaction on Multimedia, Vol. 17, No. 10, pp.1760-1772, 2015. 15. Suhua Tang, Yi Yu, Roger Zimmermann, and Sadao Obana, “Efficient Geo-fencing via Hybrid Hashing: A combination of Bucket Selection and In-bucket Binary Search,’’ Pdf, ACM Transactions on Spatial Algorithms and Systems, Volume 1 Issue 2, Article No. 5, 2015. 16. Yi Yu, Roger Zimmermann, and Suhua Tang, “Social Interactions over Location-Aware Multimedia Systems”, Pdf, a chapter in the book “Multimedia data mining and analytics—disruptive innovation,” (edited by A. Baughman, J. Gao, J.-Y. Pan, V. Petrushin, Springer), pp.117-146, 2015. 18. Zhonghua Li, Bingjun Zhang, Yi Yu, Jialie Shen, Ye Wang, “Query-Document-Dependent Fusion: a Case Study of Multimodal Music Retrieval”, IEEE Transaction on Multimedia, Vol. 15, No. 8, pp.1830-1942, 2013. 19. Sein Minn, Yi Yu, Michel Desmarais, Feida Zhu, and Jill-Jenn Vie, “Deep Knowledge Tracing and Dynamic Student Classification for Knowledge Tracing”, accepted by the 2018 IEEE International Conference on Data Mining (ICDM'18). 20. Yi Yu, Samuel Beuret, Donghuo Zeng, Keizo Oyama, “Deep Learning of Human Perception in Audio Event Classification”, accepted by IEEE ISM2018. 21. Donghuo Zeng, Yi Yu, Keizo Oyama, “Audio-Visual embedding for cross-modal music video retrieval through Supervised Deep CCA”, accepted by IEEE ISM2018. 22. Junjun Jiang,Yi Yu, Jinhui Hu, Suhua Tang, Jiayi Ma, “Deep CNN Denoiser and Multi-layer Neighbor Component Embedding for Face Hallucination”, accepted by International Joint Conference on Artificial Intelligence (IJCAI) 2018. 23. Junjun Jiang, Yi Yu, Zheng Wang, Jiayi Ma, “Residual Learning for Face Sketch Synthesis”, accepted by ICASSP2018. 24. Wenjun Huang, Chao Liang, Yi Yu, Zheng Wang, Weijian Ruan, Ruimin Hu, “Video-based Person Re-identification Self Paced Weighting”, accepted by AAAI 2018. 25. Yi Yu, Suhua Tang, Kiyoharu Aizawa, Akiko Aizawa, “VenueNet: Fine-Grained Venue Discovery by Deep Correlation Learning,” accepted by IEEE ISM2017. 26. Zheng Wang, Ruimin Hu, Yi Yu, Junjun Jiang, Jiayi Ma, Shin'Ichi Satoh, “Statistical Inference of Gaussian-Laplace Distribution for Person Verification”, accepted by ACM Multimedia (MM) 2017. 27. Chunlin Zhong, Yi Yu, Suhua Tang, Shin’ichi Satoh, Kai Xing, “Deep Multi-Label Hashing for Large-Scale Visual Search Based on Semantic Graph,” accepted by APWeb-WAIM Joint Conference on Web and Big Data 2017 (best paper runner up). 28. Junjun Jiang, Yi Yu, Suhua Tang, Jiayi Ma, Guo-Jun Qi, Akiko Aizawa, “Context-Patch based Face Hallucination via Thresholding Locality-Constrained Representation with Reproducing Learning”, accepted by IEEE International Conference on Multimedia and Expo (ICME) 2017 (finalist of the World’s First 10K best paper award). 29. Soo-Chang Pei, Mei-Shuo Chen, Yi Yu, Suhua Tang, Chunlin Zhong, “Compact LBP and WLBP Descriptor with Magnitude and Direction Difference for Face Recognition”, accepted by IEEE International Conference on Image Processing (ICIP) 2017. 30. Zheng Wang, Ruimin Hu, Yi Yu, Chao Liang, and Chen Chen, “TAICHI Distance for Person Re-identification,” accepted by IEEE International Conference on Acoustics, Speech and Signal Processing 2017. 32. Rajiv Ratn Shah, Yi Yu, Suhua Tang, Shin’ichi Satoh, Akshay Verma, Roger Zimmermann, “Concept-Level Multimodal Ranking of Flickr Photo Tags via Recall Based Weighting”, Multimedia COMMONS Workshop at ACM Multimedia 2016, pp.19-26. 33. Zheng Wang, Ruimin Hu, Yi Yu, Chao Liang. “Scale-adaptive Low-resolution Person Re-identification via Learning a Discriminating Surface”, the 25th International Joint Conference on Artificial Intelligence (IJCAI), 2016, pp.2669-2675. 34. Rajiv Ratn Shah, Anupam Samanta, Deepak Gupta, Yi Yu, Suhua Tang, Roger Zimmermann, “PROMPT: Personalized User Tag Recommendation for Social Media Photos Leveraging Personal and Social Contexts”, IEEE International Symposium on Multimedia, 2016, pp.486-492. 35. Amir Hossein Nabizadeh Rafsanjani, Alípio Mário Guedes Jorge, Suhua Tang, and Yi Yu, “Predicting User Preference Based on Matrix Factorization by Exploiting Music Attributes”, accepted by Ninth International C* Conference on Computer Science & Software Engineering (C3S2E), 2016, pp.61-66. 36. Subhasree Basu, Yi Yu, and Roger Zimmermann, “Fuzzy Clustering of Lecture Videos Based on Topic Modeling”, 14th Workshop on Content-Based Multimedia Indexing (CBMI), 2016, pp.1-6. 37. Subhasree Basu, Yi Yu, Vivek K. Singh, and Roger Zimmermann, “VIDEOPEDIA: Lecture Video Recommendation for Educational Blogs Using Topic Modeling”, The 22th International Conference on Multimedia Modeling (MMM’16), 2016, pp.238-250. 38. Rajiv Ratn Shah, Mohamed Hefeeda, Roger Zimmermann, Khaled Harras, Cheng-Hsin Hsu, and Yi Yu, “NEWSMAN: Uploading Videos over Adaptive Middleboxes to News Servers InWeak Network Infrastructures”, The 22th International Conference on Multimedia Modeling (MMM’16), 2016, pp.100-113. 39. Wenxin Huang, Ruimin Hu, Chao Liang, Yi Yu, Zheng Wang, Xian Zhong, Chunjie Zhang, “Camera network based person re-identification by leveraging spatial-temporal constraint and multiple cameras relations”, The 22th International Conference on Multimedia Modeling (MMM’16), 2016, pp.174-186. 40. Zheng Wang, Ruimin Hu, Yi Yu, Chao Liang, and Wenxin Huang, “Multi-Level Fusion for Person Re-identification with Incomplete Marks”, ACM international conference on Multimedia (ACM MM’15), 2015, pp.1267-1270. 41. Rajiv Ratn Shah, Anwar Shaikh, Yi Yu, Wenjing Geng, Roger Zimmermann, and Gangshan Wu, “EventBuilder: Real-time Multimedia Event Summarization by Visualizing Social Media”, accepted by ACM international conference on Multimedia (ACM MM’15), 2015, pp.185-188. Runner up in Yahoo Flickr Grand Challenge 2015. 42. Rajiv Ratn Shah, Yi Yu, Anwar Shaikh, and Roger Zimmermann, “TRACE: A linguistic-based approach for automatic lecture video segmentation leveraging Wikipedia texts”, The IEEE International Symposium on Multimedia, 2015, pp.217-220. 43. Lei Yao, Jun Chen, Yi Yu, Zheng Wang, Wenxin Huang, Mang Ye, and Ruimin Hu, “Adaptive Margin Nearest Neighbor for Person Re-identification”, Pacific-Rim conference on Multimedia (PCM’15), 2015, pp.75-84. 47. Rajiv Ratn Shah, Yi Yu, Anwar Shaikh, Suhua Tang, and Roger Zimmermann. “ATLAS: Automatic Temporal Segmentation and Annotation of Lecture Videos based on Modelling Transition Time”, Pdf, ACM international conference on Multimedia (ACM MM’14), 2014, pp.209-212. 48. Rajiv Ratn Shah, Yi Yu, and Roger Zimmermann. “User Preference-Aware Video Generation Based on Modeling Scene Moods”, in Proc. ACM MMSys 2014, 2014, pp.156-159. 49. Yi Yu, Kiyoharu Aizawa, Toshihiko Yamasaki and Roger Zimmermann. “Emerging Topics on Personalized and Localized Multimedia Information Systems”, Pdf, a full-day tutorial in ACM international conference on Multimedia (ACM MM’14), pp.1233-1234. 53. Yi Yu, Zhijie Shen, Roger Zimmermann, “Automatic Music Soundtrack Generation for Outdoor Videos from Contextual Sensor Information”, in Proc. ACM international conference on Multimedia (ACM MM12), Multimedia Grand Challenge, Pdf, pp.1377-1378, 2012. 55. Yi Yu, Michel Crucianu, Vincent Oria, and Lei Chen, “Local Summarization and Multi-Level LSH for Retrieving Multi-Variant Audio Tracks,” in Proc. ACM international conference on Multimedia (ACM MM09), Pdf, pp.341-350, 2009. Rajiv Ratn Shah, National University of Singapore (November 7, 2015 – May 3, 2016), first student who worked with me more than three years in NUS and NII. Mei-Shuo Chen, National Taiwan University, (July 8, 2016 – September 8, 2016), first female intern. Photo 1, taken at level 14 in NII (from left, Sinnminn, Samuel, Huaxuan, Junjun, Haoting, Francisco, Yi, Dong, Donghuo, Weijian), March 5, 2018. Photo 2 taken at Nikko (from left, Samuel, Hong, Tong, Yi, Weijian, Haoting, Donghuo), August 2, 2018.